This magnificent building, located in historic Millthorpe, is for sale. 1 Pym Street, Millthorpe blends in beautifully with all the other classic buildings in the streetscape and is located on the busiest corner in the village. The building is tenanted and has a long lease in place showing a high yield of around 8% nett after GST. The residence upstairs is a spacious four bedroom dwelling with the master bedroom and en-suite being added in recent years. The kitchen has also been updated and the expansive, ornate verandah has been renovated and painted. The upstairs accommodation has been sub-let by the existing tenant. 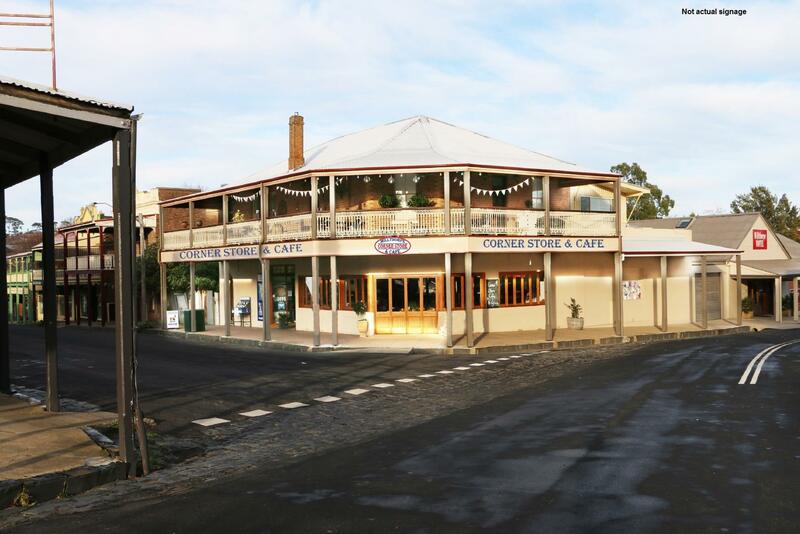 The property sits on approximately 755 sqm of land as the centrepiece of the historic tourist village. More income details are available on request. (Business not for sale). Dear Chris, I am interested in 1 Pym St, Orange, NSW 2800, Listing Number 2775715 which I found on http://blowesrealestate.com.au.